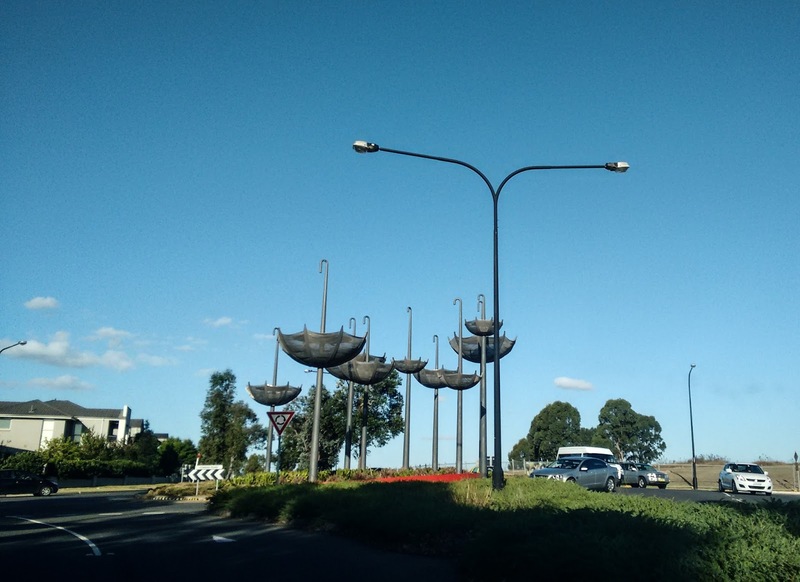 Be it a giant squid on a bill board or a boat installed atop a shop, famous shoe tree or a car hanging down the roof, I have come across some very interesting structures while travelling. 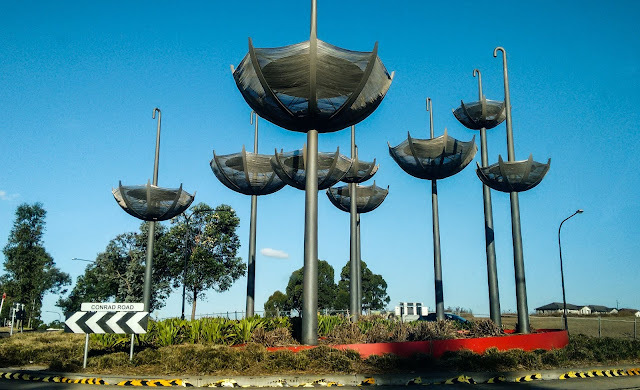 I saw these Upside Down Umbrellas near Stanhope Gardens, Australia last week. They look even more beautiful at night. However I am yet to find the story behind these structures. Hey I've written about my umbrella that doesn't fly upside down ever! Interesting! I love good public art, especially when it makes you do a double take! Hope you are enjoying the A to Z! Wow! Beautiful piece of work and so unique. 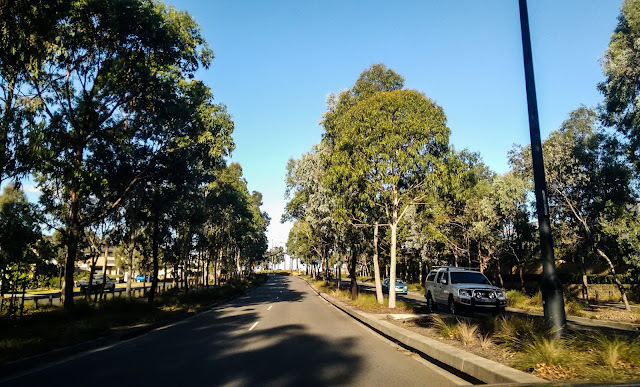 Thanks for the interesting photos. I'm quite baffled by these structures. Wonder what those upturned umbrellas could be!